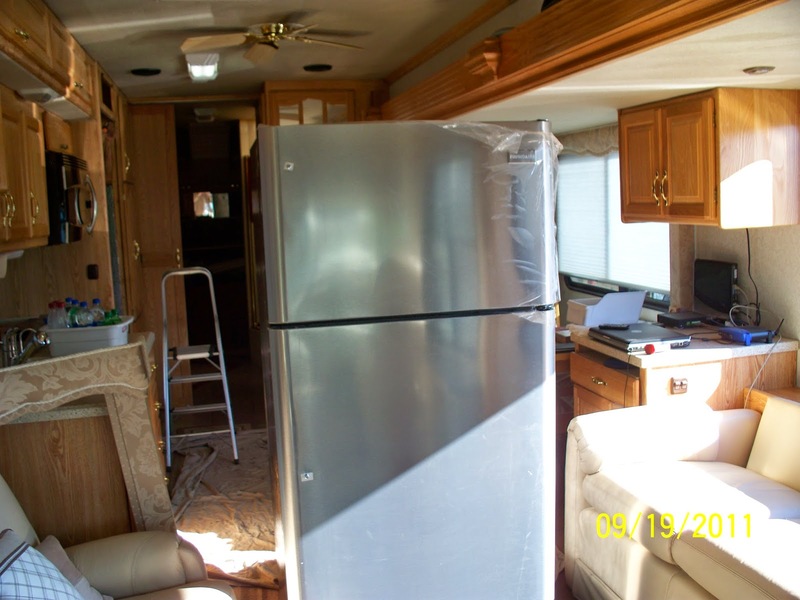 A few years ago we replaced the Norcold refrigerator in our Alfa motorhome with a Frigidaire domestic refrigerator. 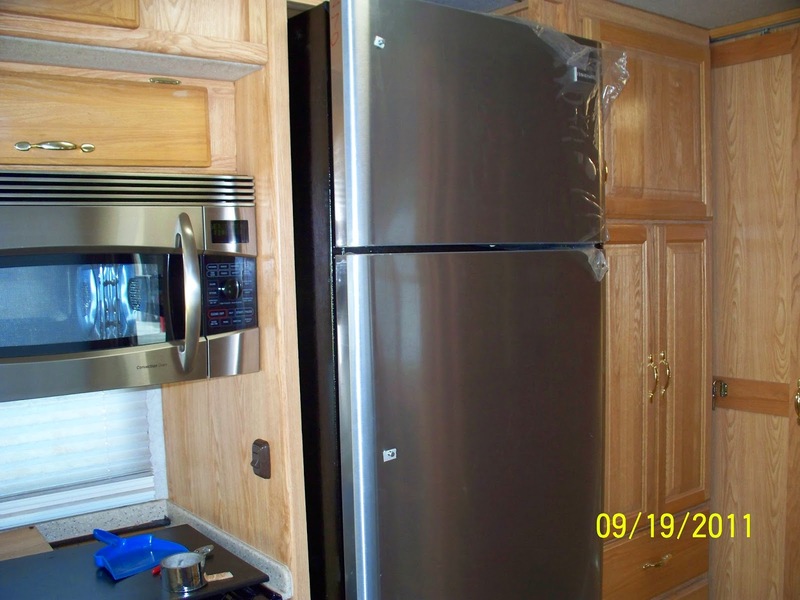 The Norcold ran on electricity or propane and the Frigidaire only runs on electricity. Kathi was never satisfied with the Norcold refrigerator -- it wouldn't keep her ice cream frozen. 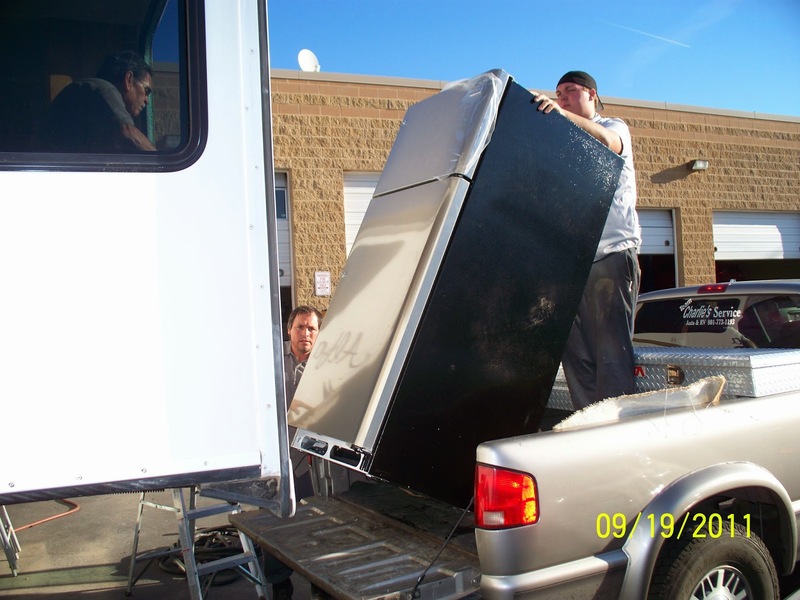 Charlies Service Center in Sunset, Utah installed the new refrigerator. 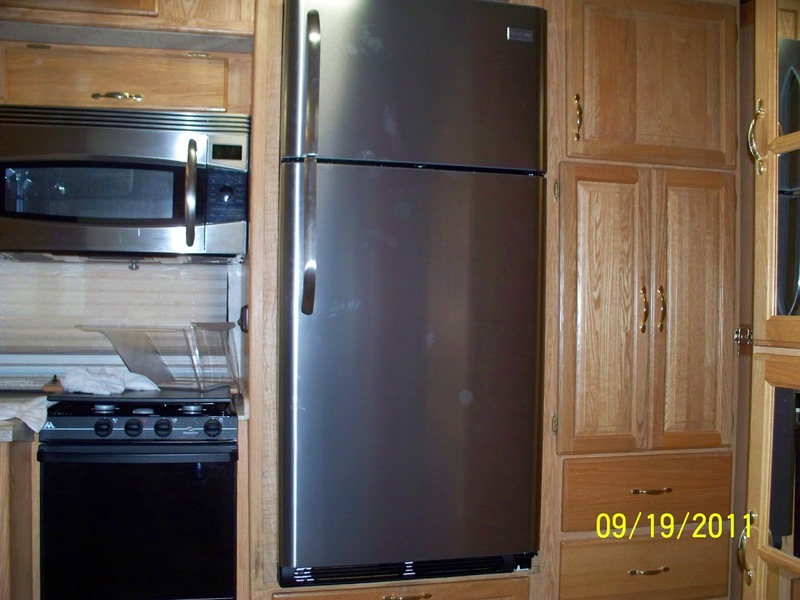 They had to remove the window over the couch to get the Norcold out and Frigidaire in. Charlie's Service Center is managed by Justin Dubose and his wife, Amanda. They have become good friends. Justin, Amanda and their youngest son, Austin frequently visit us in our motorhome while we are in Sunset. Amanda made us a delicious pork chop dinner at their home the last time we were in town. I like when they come through Austin & she has her banana pudding in there.